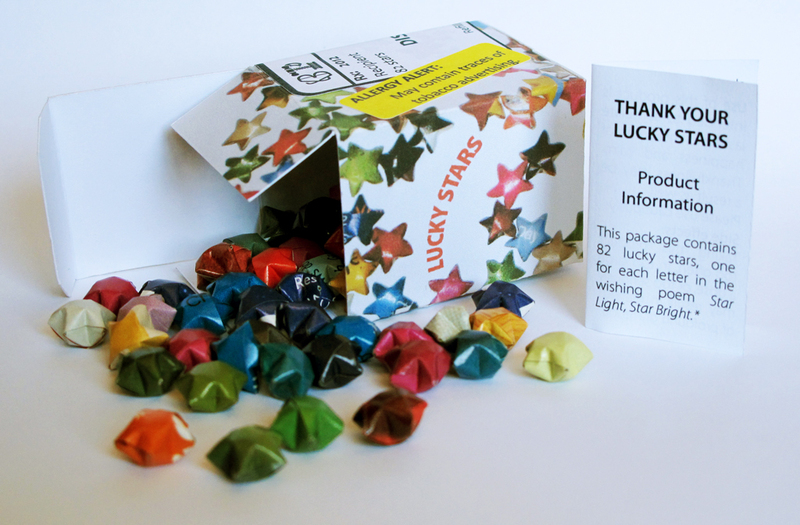 Miniature box containing 82 stars and a 4 page information booklet. Laser printed on acid free 20# text, acid free card stock, and label stock. Recycled magazine pages.